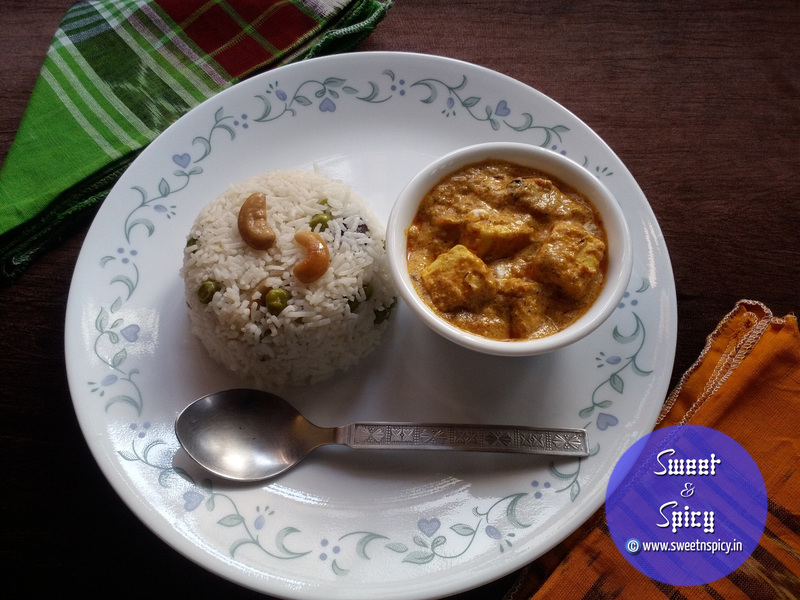 Wednesday calls for a sumptuous meal and so today I thought of preparing matar pulao and paneer makhni for lunch. They came out really well. Both the dishes are relatively easy to prepare. It took me a couple of hours to prepare them but they were worth the effort.